Professor of Western Esotericism and Director of the Exeter Centre for the Study of Esotericism (EXESESO), University of Exeter . Research interests included patterns of globalization of esotericism; Theosophy and esoteric theories of spiritual evolution in the twentieth century; Hermeticism, pietism and alchemy in the Enlightenment era; Theology of Electricity. His areas of supervision included Hermeticism; Rosicrucianism; Swedenborg; Theosophy and Modern Art; Rudolf Steiner and Anthroposophy; contemporary Gnostic movements; millenarianism. His publications included: The Western Esoteric Traditions: A Historical Introduction (OUP, 2008), G.R.S. Mead and the Gnostic Quest (2005) (with Clare Goodrick-Clarke); Helena Blavatsky (2004); The Occult Roots of Nazism (2004); "The Esoteric Uses of Electricity", ARIES 4:1 (2004); "The Divine Fire: H.P. Blavatsky and the Theology of Electricity", Theosophical History 9:4 (2003); transl. and foreword to Ernst Benz, Emanuel Swedenborg: Visionary Savant in the Age of Reason (2002); Black Sun: Aryan Cults, Esoteric Nazism and the Politics of Identity (2002); Paracelsus: Essential Readings (1999); "The Rosicrucian Prelude: John Dee's Mission in Central Europe" in The Rosicrucian Enlightenment Revisited, ed. Ralph White (Lindisfarne Books: Hudson NY, 1999); Hitler's Priestess: Savitri Devi, the Hindu-Aryan Myth and Neo-Nazism (1998). As General Editor of Western Esoteric Masters (North Atlantic: Berkeley) I edited Rudolf Steiner (2004), John Dee (2003), Emanuel Swedenborg (2003), Jacob Boehme (2001), Robert Fludd (2001). Alastair Logan is the longest standing member of the Department, having come to Exeter in 1972 to teach early Christian doctrine. His academic career began in Edinburgh , where he studied classics and divinity, and continued at the Universities of Harvard and St. Andrews . Specialist Subject Areas: Early Christian Doctrine; Gnosticism; The origins and development of the doctrine of the Trinity; Early Christian Liturgy (especially initiation); Fathers and Heretics. Recent Publications: Gnostic Truth and Christian Heresy (Edinburgh: T&T Clark, 1996), 'The Mystery of the Five Seals: Gnostic Initiation Reconsidered', Vigiliae Christianae 51 (1997) 188-207; 'Post-Baptismal Chrismation in Syria: The Evidence of Ignatius, the Didache and the Apostolic Constitutions', JTS 49 (1998) 92-108; 'Magi and Visionaries in Gnosticism' in J W Drijvers & J W Watt eds, Portraits of Spiritual Authority: Religious Power in Early Christianity, Byzantium & the Christian Orient (Leiden: Brill, 1999), 27-44. Course Lecturer in Neo-Platonism and Astrology. Consultant researcher and Lecturer in Religious Studies at the University of Kent , Canterbury , under the sponsorship of the Sophia Trust. Research interests centre on Renaissance music, magic and astrology; the function of the symbolic imagination in spiritual perception; musical performance practice and the visual arts as vehicles for spiritual knowledge. I am particularly interested in the relevance of magical and divinatory thought to contemporary culture. My publications have centred on the astrological music therapy of Marsilio Ficino and the nature of symbolism, including "The Astrology of Marsilio Ficino, Divination or Science? ", Culture and Cosmos 4:2 (2002); "The Music of the Spheres: Marsilio Ficino and Renaissance Harmonia", Culture and Cosmos 2:2 (2000); "Orpheus redivivus: the Musical Magic of Marsilio Ficino", in Marsilio Ficino, His Theology, His Philosophy, His Legacy, ed. Valery Rees (2002); Father Time and Orpheus (Oxford 2003); "From Allegory to Anagoge: the Question of Symbolic Perception in a Literal World", in Astrology and the Academy (Cinnabar Press 2004). My recordings include Images of Melancholy (Riverrun Records 2002) and Secrets of the Heavens (Riverrun Records 2000). Honorary Fellow and Course Lecturer in The Hermetic Art of Alchemy and The Esoteric Body. Studied English Language & Literature at Birmingham (BA prize-winning finalist). Recipient of Charles Grant Robertson scholarship for MA by thesis: “A Quintessence of Dust: Renaissance and Reformation concepts of Man from the Florentine Platonists to the Cambridge Platonists”. Research interests include the history, symbolism and practice of alchemy, especially Paracelsian medical alchemy (Spagyrics). Member of the (American) Association for the Study of Esotericism (ASE) and European Society for the Study of Western Esotericism (ESSWE). Qualified in Homeopathy and Counselling. Faculty member of the New York Open Center since 1995. Studied practical alchemy with the late Professor Manfred M. Junius. Publications include: G.R.S. Mead and the Gnostic Quest (Berkeley: North Atlantic Books, 2005); "Rationalist, Empiricist or Naturphilosoph? Samuel Hahnemann and His Legacy", Politica Hermetica 18 (2004); "The Rosicrucian Afterglow: The Life and Influence of Jan Amos Comenius", in The Rosicrucian Enlightenment Revisited, ed. Ralph White (New York: Lindisfarne Books, 1999); "Mead's Gnosis: A Theosophical Exegesis of an Ancient Heresy", Theosophical History 4 (1992-93); Features and book reviews, Gnosis; Resurgence, Picture of Health, Journal of the Scientific & Medical Network. Work in progress Alchemical Medicine (publication June 2010) and The Hermetic Art of Alchemy (forthcoming Oxford University Press). Course Lecturer in Renaissance Kabbalah and Number Symbolism. My research interests include the typology of alchemical and magical practice, Paracelsian philosophy, and the interweaving of Hermetic, Neo-Platonic and kabbalistic strands in the works of influential figures like Ficino, Pico, Reuchlin, Agrippa and Dee. Currently working on Robert Boyle’s work-diaries, and teaching courses on ‘Renaissance Philosophies’ and ‘Magic, Science, and Religion’ at Birkbeck College , University of London . My forthcoming publications include: "Curious Knowledge and Wonder-working Wisdom in the Works of Heinrich Khunrath", in R. J. W. Evans & Alexander Marr (eds), Curiosity and Wonder in the Early Modern Period (2005); "Letter, Number and Symbol in Christian-Cabala", in Stephen Clucas & Peter J. Forshaw (eds), Silent Languages: Emblems, Notations and Symbols in the Early Modern Period (2005), a major monograph on the German doctor, theosopher and alchemist, Heinrich Khunrath (1560-1605) and a translation of his Amphitheatre of Eternal Wisdom, based on his PhD thesis ‘Ora et Labora: Alchemy, Magic and Cabala in Heinrich Khunrath’s Amphitheatrum Sapientiae Aeternae (1609) and I am also working on a translation of Johann Reuchlin’s kabbalistic De Verbo Mirifico - On the Wonder-Working Word (1494). Course Lecturer in Rosicrucianism. Currently teaching at the University of Bremen, Germany. My research interests and areas of supervision include: Rosicrucianism and Freemasonry, the history of magic, esoteric currents in Central and Eastern Europe , esoteric fiction, and the interface between spirituality and nature. Publications include: The Astrologers and their Creed (1969); Eliphas Lévi and the French Occult Revival (1972); The Rosicrucians (latest edition 1997); The Rose Cross and the Age of Reason (1992); The Swan King: Ludwig II of Bavaria (latest edition 2003); Gardens of the Gods (2005). My fictional work includes the occult novel Return of the Tetrad published in Czech as Navrat Tetradi (1998). I have lectured widely on esoteric subjects in Europe and the USA . Course Lecturer in Freemasonry. A theology graduate of Brasenose College , Oxford (1981), I crafted innovative religious television for the BBC and Channel 4 in the 1980s, including the award-winning GNOSTICS series and my accompanying book The Gnostics (1987) became a best-seller. I have produced further films on Christian doctrine, mysticism, Rosicrucianism and Freemasonry, including A Mighty Good Man (2002), a documentary on Elias Ashmole, his religious ideas and initiation in 1646. My current research interests include the Hermetic philosophy and Freemasonry. My publications include: Miraval (novel about a medieval troubadour) (Weidenfeld & Nicolson, 1989); The Fear of Vision (poetry) (1995); Magus: The Invisible Life of Elias Ashmole (2004); The Golden Builders: Alchemists, Rosicrucians and the First Free Masons (2005); Gnostic Philosophy (2005). I was founder-editor of the world’s leading masonic magazine, Freemasonry Today. Course lecturer in English Renaissance esoteric traditions. Paul Bembridge is a graduate of York University’s English Department who went on to do postgraduate work in medieval art and literature (M.Phil) before developing a career in teaching English literature at university level. 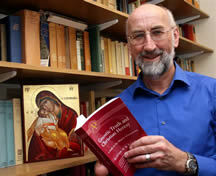 He has a life-long interest in the European literary tradition as a carrier of Western spirituality. He was elected Fellow of the Royal Society of Arts (FRSA) in 1996 in connection with his work on Rosicrucian elements in the poetry of Andrew Marvell, which was published in Ralph White (ed. ), The Rosicrucian Enlightenment Revisited (New York: Lindisfarne Books, 1999). Paul has been a faculty member of the New York Open Center since 1995. Course lecturer in Alchemy, Rosicrucianism and Kabbalah. I taught the history of Western esotericism at the University of Amsterdam (Sub-department for the History of Hermetic Philosophy and Related Currents) and at Ludwig-Maximilians-Universität, Munich (Institute for Renaissance Intellectual History and Philosophy), previously teaching the psychology of religion and the history of alternative healing traditions at the University of Queensland. I am a specialist in the history of esotericism in early modern Germany, and have published on early Rosicrucianism, alchemy and magic, most notably The Quest for the Phoenix: Spiritual Alchemy and Rosicrucianism in the Work of Count Michael Maier (1569-1622) (Berlin: de Gruyter, 2002). Current research interests include the history of magic in early modern warfare, the psychology of angelic communication, and the relation of psychoanalysis to the Western esoteric traditions.